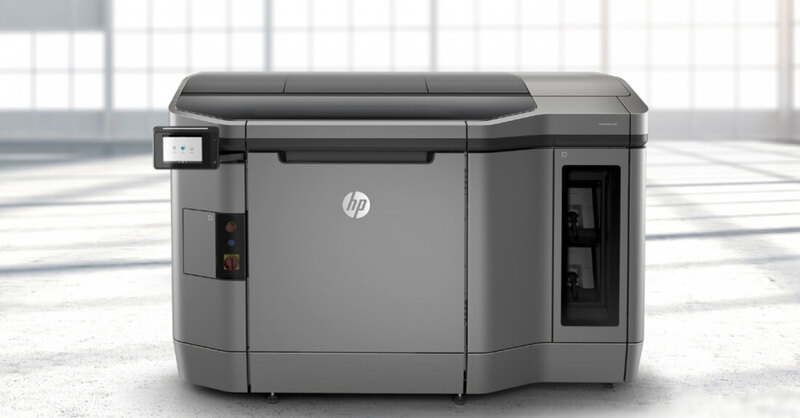 HP first unveiled its 3D printing ambitions in October of 2014. Rather than tackle the somewhat crowded consumer market, the Jet Fusion 3D printer is an industrial-grade machine that aims to revolutionize how both small manufacturing businesses create products. What makes HP’s new printer different from others is the fact that it can print in multiple colors and eventually, multiple materials, at the same time. As an example, Re/code envisions printing an entire electric toothbrush – the handle, the bristles, the internal motor and all of the necessary wiring – all in a single print job. Terry Wohlers, president and lead analyst with market research firm Wohlers Associates, said he believes HP will disrupt the industry with a new lever of speed, quality and cost. Speaking of, HP claims its new printer is up to 10 times faster than existing machines and could cut the cost of manufacturing components in half for some businesses. In fact, the printer can print roughly half of the parts it’s comprised of. HP’s head of 3D printing, Stephen Nigro, said they created a printer that prints itself. The company is currently testing the ability to print integrated circuits and even embed circuits within printed parts. Printing metal is also in the works although that’ll come at a later date with Nigro describing it today as a research project. HP unveiled two models of the Jet Fusion 3D Printer, the 3200 series and 4200 series, the latter of which is about 25 percent faster. It’s currently accepting pre-orders with pricing starting at $130,000.